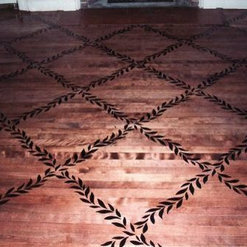 Black Diamond Stencil on the hardwood floor. They knew exactly how to fix the problem with our bathroom ceiling peeling. They arrived on time and did a great job. The were extremely organized. At the end, they cleaned up and left our house spotless. We would definitely use them again. They actually came in a little under their estimate! Desi, the owner of Sterling Painting, is a true artist. 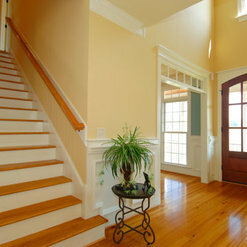 He did a beautiful job in painting our living room, kitchen, back hallway, and stairway. He is also service-oriented, offering to come help us pick out the paint, giving us good advice in choosing our colors, and buying the paint for the job. His prices are reasonable, and he always got back to us quickly when we asked for a quote. 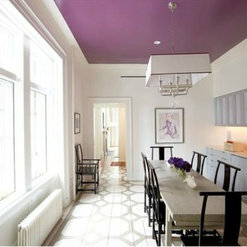 I would definitely recommend you use Sterling Painting and I have been recommending Desi to our friends and family. Sterling Painting, founded and owned by Desi Saloka, has consistently and reliably been a top painting concern in the Boston area for over 25 years. 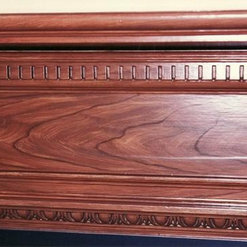 The work is impeccable; the pride in craftsmanship is evident from the preparation work to the final finish. They have a deep knowledge of the latest products that are appropriate for whatever project is at hand. I highly recommend this company for your painting projects, residential, commercial or institutional. I Had Desi Paint my Living room. He is not just a painter he is an artist. 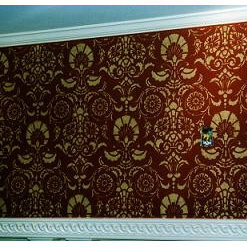 Along with painting he had to remove wall paper that was decades old and stuck like glue to the walls. Then he had to do extensive repairs. This was no ordinary paint job. By the time he was done my walls were perfect and the paint he applied was flawless. 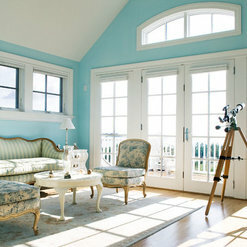 I have used Sterling painting many times for both my home and office. 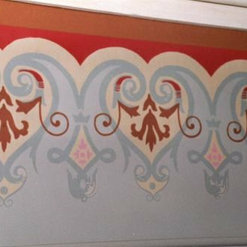 They did decorative painting in my office when I opened and it still looks great years later. Every job was high quality, on time, and for the estimated cost. I value cleanliness and they delivered, both during the job and after. I highly recommend them. 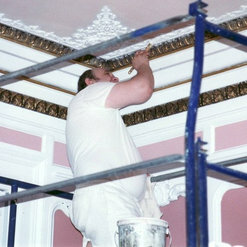 I have hired Sterling Painting for a number of different painting projects. They have prepared and painted ceilings, walls, trim, and windows. I would definitely recommend them. They are timely (they come when they say they are going to come and they finish when they say they are going to finish), pristine (absolutely clean), and the quality of their work is top-notch. 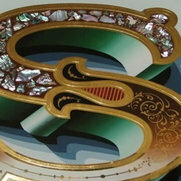 The quality of Sterling Painting's work is outstanding. They are highly skilled and meticulous. Cleanup is spotless. 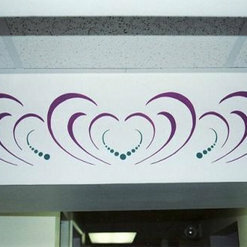 They do beautiful glazing, stenciling, faux marble, and other complex work. Commented: What is the paint color on the walls? It's perfect!I wish, I know, but I no longer have the records, SORRY!